When Lietuvos Energija, Lithuania’s state energy provider, issued a chunk of corporate bonds worth $354m last July, it broke several records. It was the first time a Lithuanian company had issued so-called ‘green bonds’, a relatively new financial instrument exclusively funding environmentally friendly projects. For its part, the EBRD has been issuing its own green bonds since 2010, so it was in an excellent position to help others do the same, and duly invested $35.4m in Lietuvos Energija’s bonds. “There haven’t been many green bonds in our countries of operation, so it was the first time the stars aligned,” said Charles Smith, Senior Funding Officer at the EBRD. 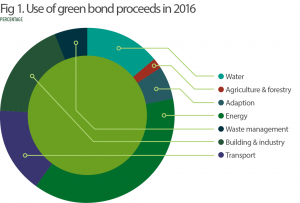 Although still a minuscule fraction of the fixed-income market, green bonds have grown exponentially from a value of $11bn in 2013 to $93bn in 2016. Big corporations have backed the trend too; Apple issued a $1bn green bond in June this year. Bloomberg New Energy Finance forecasts issuance to increase to $123bn this year, while Moody’s predicts a staggering $206bn. As a new instrument with little history and even less investor awareness, green bonds lack a universally accepted framework. 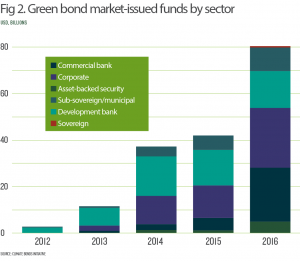 What qualifies as ‘green’ is unclear, inviting criticism that some bond issuers have jumped on the green bandwagon solely for PR reasons, a practice known as ‘greenwashing’. 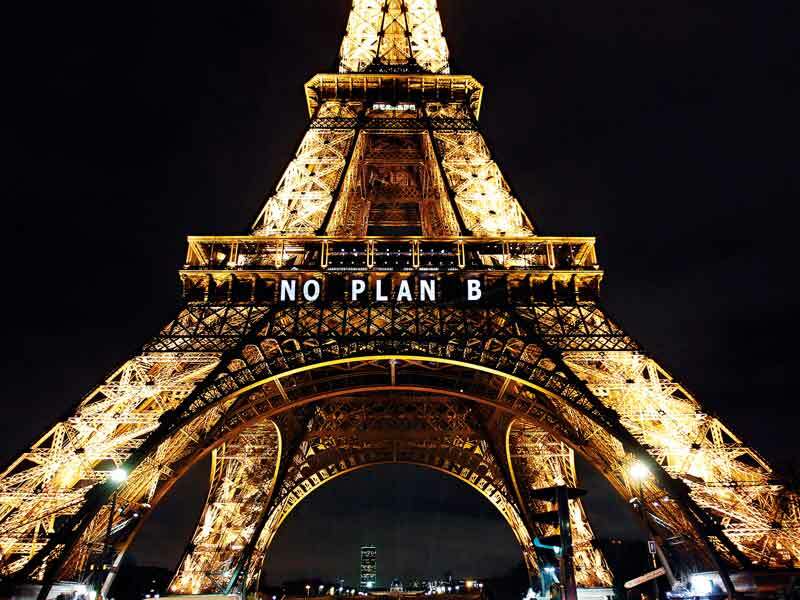 In an attempt to address the problem, in 2014 a consortium of investment banks, issuers and investors launched the Green Bond Principles, overseen by the International Capital Markets Association (ICMA). The initiative has helped solve a key issue – monitoring where the money goes. Exchanges could provide a solution to the illiquidity trap by raising market awareness and matching potential issuers and investors. In September, the Luxembourg Stock Exchange launched the Green Exchange – a green bond platform that already accounts for around 30 percent of the market.